Where ‘Ut’ is the first and primary entity of space which is producing New Space second for second. It has a Time value of ‘0’ which is isometric and symmetrical across this field. It is co habitant with spacetime which comprises of the 3 Euclidean dimensions x,y,z. Once matter has been created the presence of this matter is the causation of spacetime and validity and limit for Einsteins STR and GTR. If it where possible to remove all matter from the known universe spacetime would also vanish + STR and GTR. The only thing remaining would be the Primary field of Ut which would continue to produce yet more New Space. This is an extension to Sir Isaac Newtons notion that space is an entity in its own right and forms a background absolute. Einstein statement was this his notion was hypothetical and had no application! Then in the last 30 years of his life he changed his mind on that and renamed it the Absolute Aether. Since Einstein the scientific community has completely ignored Newtons notion. That is a pity as it has caused us to defer our full understanding of the universe. The above expression is extremely simple and only refers to 2 entities 1. the Primary field which is responsible for creating New Space and 2. The ability of x,y,z and spacetime it produced in the presence of matter. + other minor things like temporal time – which is incorrectly currently defined as a dimension. We live in a universe with 4 spatial dimensions which include 2 entities of Time. 1 is constant and the other is variable. Ut, x, y, z. Where ‘Ut’ is time constant and x, y, z is time variable. ‘Ut’ is the Primary dimension ( framework actually ) where time exists as a unity = ‘0’ or ‘1’ across the entire framework, so anywhere you are within it time will also be the same. The edge of the framework is dynamic and moving outwards away from its centre. The velocity of this periphery is unknown and most likely we will never know as it is far beyond our measurement and comprehensions. Suffice it to say probably unimaginably ‘rapid’. In our location its velocity is known to be 300,000kms, this is the stretching value and is responsible for determining the velocity of light. Light does not determine its own velocity as commonly misunderstood by contemporary science. Light or anything can only move as fast as the ‘New Space’ is being created henceforth max of 300,000 kms. The Primary dimension ‘Ut’ is responsible for this. Within this Primary framework is constructed the other Euclidean 3 spatial dimensions x,y, z. And when these 3 exist then the ability of Temporal time occurs. e.g. time and distance between objects, the distance may vary and of course especially time. So one may think of this variable temporal time as having an elastic nature. The 3 spatial dimensions are only manifested in the presence of matter. e.g. If one removed all the matter from the universe then all the 3 dimensions + temporal time would disappear with it. What is left is the Primary dimension where Time is Zero. One may re distribute matter later into this framework and hence restore the other 3D + Tv. ( time variable). Time is Master not Higgs Boson, matter, velocity, Strings or anything else. 1. Quantum mechanics and dealing with the infinitesimal Einstein’s Special Theory of Relativity breaks down. It simply has very little or no application. Which indicates that their is a substantial piece of knowledge missing. 2. The Horizon Problem, a problem with thermal uniformity across the entire universe. A solution was provided by Prof Guth, however this theory is turning out to be unsatisfactory because of the linear time and expansion rate in the early universe. Put basically there simply is not enough of linear time to account for the current dimension of the universe. 3. Black holes these misunderstood phenomena are – could be nothing more than an object where Time is Zero exposing a window to the Primary dimension. Then any matter falling into it is then dispersed throughout it as super degenerate matter ( not even so called Strings ). They simply prohibit the ability of 3 dimensions in their space and immediately transmit this decomposed matter into energy back into the Primary dimension. They can only rid themselves of 40% of the matter it eats by radiating it back into the 3D by way of X ray or gamma ray. The remaining 60% is lost into the Primary framework. So put simply one can think that it is removing matter from 3D and pumping it into the Primary dimension. 4. Velocity of Light is what is known as an occult phenomena because science cannot explain it. “It is what it is”, and do not question it. In order to move one must have a dimension or framework to move into. 1. In this case light requires the Primary dimension to exist in the first place. 2. It can only move as fast as the Primary dimension is being created. As explained above. In every second since the so called Big Bang the Primary has been expanding. In our region of the universe commonly called Hubble Zone light is constant which means that ‘New Primary Space’ is being created with the value of 300,000 kms. This is what determines the value of ‘C’ the speed of light. A photon is the slave not master. It can only do what it is able to do. 5. LHC Collider the collider is trying to exceed the speed of light without really understanding the background physics. The first accelerator in 1922 would have indicated whether or not this was possible – and henceforth exceed it decades ago in one of the 200 accelerators which now exist in the world. Theoretically should the LHC manage to make a proton reach the speed of light it will cause them much confusion as the particle they are looking at will suddenly vanish! as it will reach a time phase with the Primary which is Zero and pass from x,y,z framework into Ut framework. The worrying bit is that if this happens it might cause its mass to be converted into vacuum energy. This would not cause a black hole as per the press earlier hysteria, it would be far worse than that and could destroy our entire universe. However, I should not worry too much about that as it is impossible to exceed the rate at which the universe is growing ( expanding ). i.e the very limitation for the value of ‘C’ in the first place. 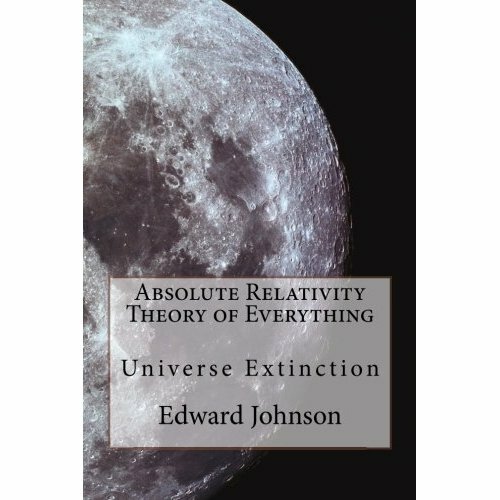 This is only the introduction more detailed and interesting hypothesis is available in the book Absolute Relativity Theory of Everything. Also to a short video on you tube Black Holes Gravity Engine provides a mechanism how they produce incredible amounts of gravity. 6. Information and Time every second or part of a second of linear temporal time has been recorded by and exists in the Primary ‘Ut’. How? As it stretches creating ‘New Space’ it is recording everything like a spooling magnetic tape recorder. e.g. in 1 second you remove the boiled egg from the hot water. In that second the universe Primary Time constant has expanded ( the spooling tape ) by 300,000 kms! That is a very long tape. You know how modern fast cameras can record a bullet coming out of a gun barrel and slow that action by freeze framing the evolution of the event. Well this tape is moving faster than any of these cameras! It records every atom – everywhere. It also has recorded all our history including all our ancestors way back to when they were a bacteria long before they evolved into a homo sapien and beyond. Also, because the Primary has a background value of Real Time. All our history, present AND future is recorded against a Time value of ‘0’. One may think of ( Ut, x, y, z ) as an expression for everything, and the Higgs field is nothing more than the production of New Space second for second. Where Ut created matter in the first place which then gave causation for x, y, z. These 3 x, y, z dimensions into which one applies Einstein’s Special Theory of relativity and General Theory of relativity and hence our understanding of spacetime. If we could remove all the matter in space, we would also rip out the 3 dimensions – and what would be left? Just the Primary dimension ‘Ut’. It created the matter and can remove matter. The universe may be thought of as potentially cyclic ‘ Switch On & Switch Off’ What determines whether the universe exists or not is the production rate of New Space. If this varies then our understanding of what spacetime is will vanish along with all the matter and the 3 dimensions. 1. This schematic illustrates the meaning of ‘New Space’ which is being created second for second around us at the velocity of 300,000kms by the framework mechanism ‘Ut’. I hope this helps you to visualise the hypothesis and implication of the Primary dimension ( Ut framework ). One simply requires to understand that for anything to move which participates in the 3D’s it’s movement is limited by the availability of the Primary dimension creating New Space. ” How can you move faster than the thing which is creating space for it to move into”? The fact that a photon or any object cannot is illustration. It is obliged to convert additional energy into additional matter! What else can it do? Hence this is what determines the fundamental meaning of its measurable fundamental energy. It is a direct relationship with the velocity at which Ut is creating New Space. ‘If’ Ut was creating New Space faster – then the fundamental measurable energy of that body would be greater. 2.The following schematic will help you to visualise the association and relationship between Ut and 3D. Does this help explain a little further? in order to have the ability of 3 dimensions x,y,z one must have the primary framework first. If you were to remove all matter from space you would rip out the 3D, as these are what create the 3D in the first place. And after you have done that, all that is left is the primary framework which continues to get bigger by being fed by Ut+1. Similarly, if you were to remove Ut this would have the same effect upon the 3D they simply could not exist without this framework. As illustrated in the schematic – the ‘mirror’. But you can also think of it as an independent bubble where time exists as a isometric single entity across it’s entire framework. ‘The Hubble Zone’ is nothing more than expression of 3D space which is defined by observable matter existing in it! 3. so what is ‘Ut’?. It is an expression which means Universal Time. The schematic below should assist with further understanding. I made a claim earlier that Ut created matter in the first place! Also it can switch off matter as well as switch on matter. Let me explain how in the next schematic with reference to Prof Max Plank Theory.. This entry was posted in 'M'Theory, Black Holes, Gravity, Higgs Boson, Leonard Susskind, LHC Collider, Sir Stephen Hawkings, String Theory, Uncategorized, Unification Theory and tagged 4 dimensions, Anti matter, Black holes, Cambridge university, Cartesian, contemporary science, Cosmos, Destiny, Edward Witten, Einstein, Electrons, Entanglement, Euclid, Gravity, Hadrons, Higgs Boson, Higgs Field, large hadron collider, large hadron collider conference, Leonard Susskind, LHC Collider, Matter, Newton, Oxford university, Photons, quantum mechanics, Quarks, science, Space, Spacetime, special theory of relativity, Speed of light, Standard Model of particles, Stephen Hawking, Supernova, Theoretical physics, theory of relativity, Time dilations, Universe. Bookmark the permalink. within my small knowledge and informations available in blogs- The total spin of LHC boson could discriminated between “2″ and “0″. Theory predicts the existence of two bosons whose spin differs from 1. The force carrier for gravity is the hypothetical graviton; theory suggests that it has s = 2. The Higgs mechanism predicts that elementary particles acquire nonzero rest mass by exchanging Higgs bosons with an all-pervasive(transcendence) Higgs field. Theory predicts that the Higgs boson has s = 0. If so, it would be the only elementary particle for which this is the case. Measuring the total spin of fermions and bosons is consistent, but why not with Higgs boson?. If it is 0 spin, there is no decay into other particles to measure the spin?. A component of spin can be increased or decreased with “raising” and “lowering” operators, and the change is always in natural units of 1- means, the existence of two bosons whose spin(s) differs from 1- between gravitational field and Higgs field. Higgs boson “jitter”(spin 0 and 2) its behaviour between gravitional force and electroweak force?. So measurement can appear “simultaneously” in different spacetime metric like in Schrödinger’s cat analogy?. We may have another analogy: A car(Higgs boson) is running on a perfectly smooth road at the speed of light C(higgs field). Suddenly it applies the break and create resistance on the road(spacetime metric). This inertial resistance will create energy(inertial mass). If the car again starts to run at the speed C. If this repeated “jitter” happens simultaneously- will maintain “symmetry breaking” between gravitational force and electroweak force? For the persons inside(fermions or Goldstone bosons+W&Z bosons) the car, It appears(human perception), the two jittering conditions compressed and “appears” as matter??. Higgs boson keeps the symmetry breaking between electroweak force and gravitational force?? In physics we use the razor to shave away metaphysical concepts. The canonical example is Einstein’s theory of special relativity compared with Lorentz’s theory that ruler’s contract and clocks slow down when in motion through the ether. Einstein’s equations for transforming spacetime are the same as Lorentz’s equations for transforming rulers and clocks, but Einstein and Poincaré recognised that the ether could not be detected according to the equations of Lorentz and Maxwell. By Occam’s razor it had to be eliminated. In my mind the aether ( Newtons Absolute Framework ) which everyone sought historically and discounted can be expressed as ‘Ut’ it is responsible for the constant creation of New Space, and it cannot be easily measured as it influences everything ( all physics & life itself ) in the 3 dimensions x, y, z. where matter exists. I realise countless thousands of people have posited notions regards why it has a value of C and that it can be exceed etc. However, my notion is that it is not self limiting! What limits it, is the production rate of ‘Ut’ the primary framework ( Newtons Absolute ?). But where his thinking lead him to believe it was a fixed framework, mine is that it is being constantly produced. And the fact that it is being constantly produced causes the 3 D it to expand in it. Then we measure what is happening in our experience of 3 D and the effects on matter that we observe moving away from each other. I think of it – not as a balloon but more like the aerosol of Builders Foam. Causing matter, suns & galaxies to move away from each other and matter itself to become diluted etc. It is creating more and more volume second for second. And the ability of value C is limited by the rate of the local enlargement. Which fortunately is constant – otherwise atoms would simply dissociate – thanks in part to Max Planks theory. “Theory predicts that the Higgs boson has s = 0. If so, it would be the only elementary particle for which this is the case.” This is very interesting and in my thinking closes the gap between the function of ‘Ut’ and the predicted function of a Higgs field. They could very well be the same thing?